After dropping the girls off at dance last Friday, I decided to stroll through downtown Marshall. The weather was perfect for a walk and window shopping. Well, I did a little more than window shopping. I found a new to me shop called Tracy's Primitive Creations & Soy Creations. Tracy does not have a website, but she is on Facebook if you'd like to check out her shop. It is an awesome shop! 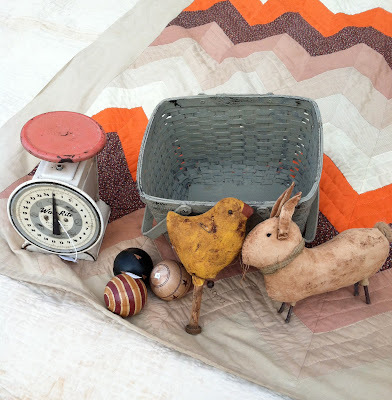 Full of primitive goodies, antiques and vintage items. I had a wonderful time wondering around in her shop. Maybe too good of a time because I picked up a few items. 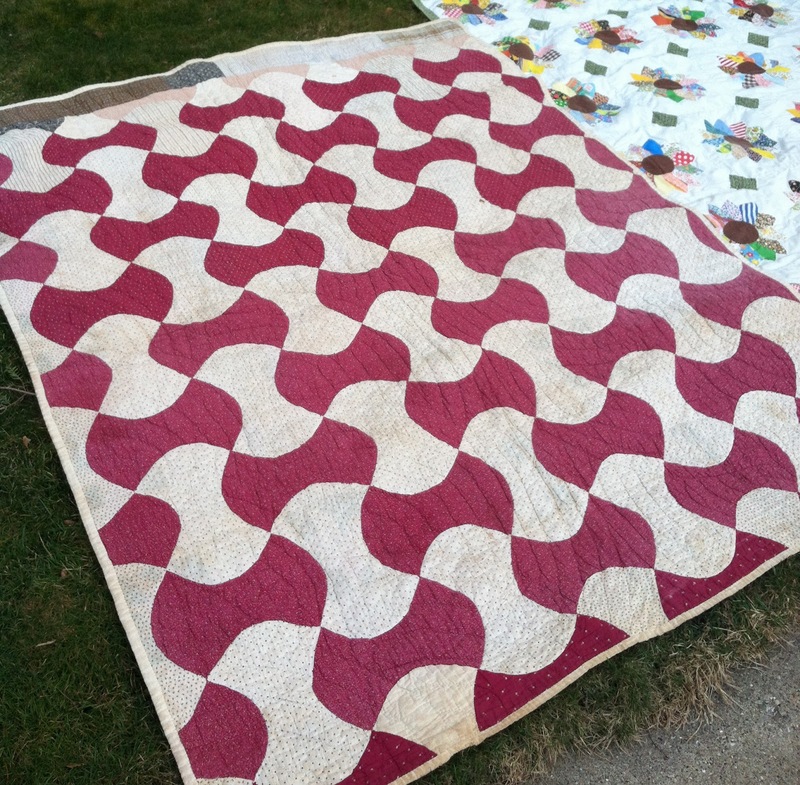 My first antique quilts!! Another beauty!!!! I love the pattern!! I know you are all wondering how much I paid for my 3 new beauties. Do I dare tell you?? I paid under $120 for all 3! Don't they look right at home? I think so. I picked a few other goodies while I was there too. Loving that vintage scale!!! Loving the other things too! :-) I'll need to post pics of how I decorated with them all soon. OH WOW what a great deal. I've only bought two antique/vintage quilts. I think I paid $35 for one, and maybe $50 for the other, so your deal was great for all three! Love them. I have a vintage scale sitting on top of one of my kitchen cabinets. It is the old green that kitchen utensils used to come in. Gorgeous! Lucky, lucky girl! Great price, I'm jealous. I do that too Linda, I MUST avoid the computer to get anything done, lol! 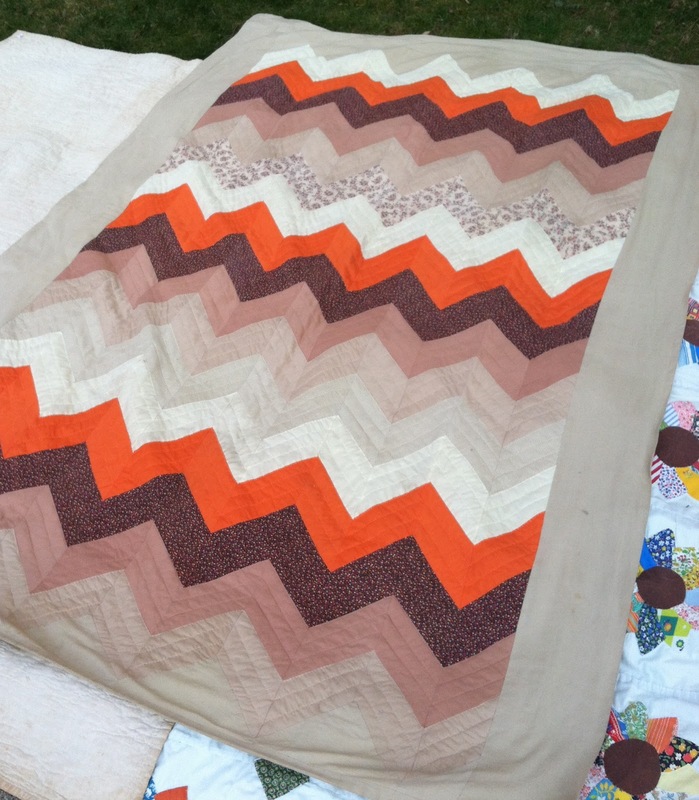 Wow your new [old] quilts are just gorgeous, and you got a GREAT deal. Can you believe the weather????? I'm loving it! Rare and beautiful finds, Linda! I've heard soaking them in Oky Clean takes a lot of the staining out. How great to find a new prim shop! Green I tell you, positively green....with envy lol. They look very much at home in your house, enjoy, they are beautiful. Great finds! I think you got a great deal on those quilts too. Wow!! You got some great goodies!! The quilts look wonderful in their new home!! What a great day full of wonderful finds! Such a deal for all three quilts and Vintage to boot! Wonderful goodies, always fun to find such wonderful quilts in a store. 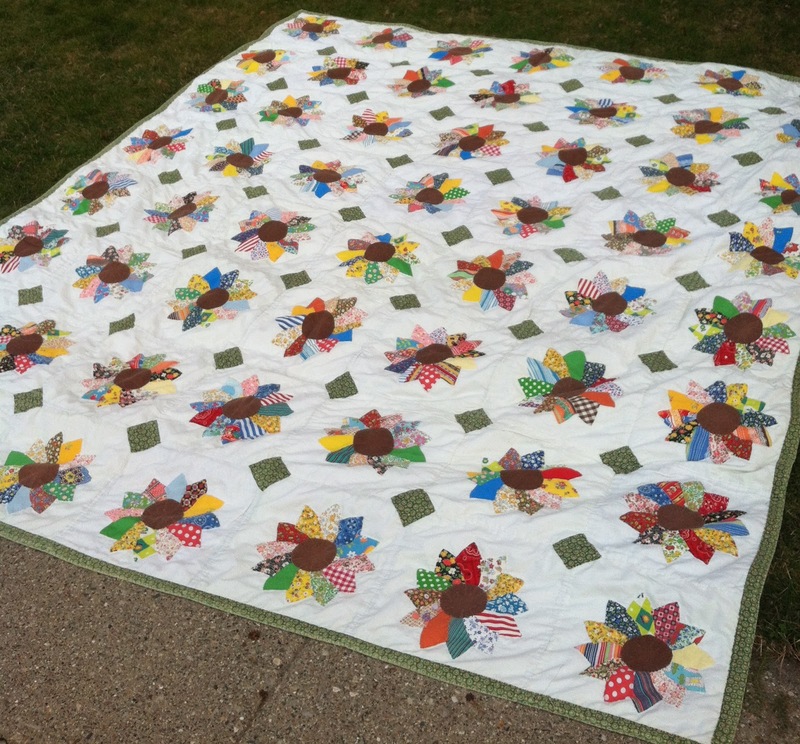 Love your antique quilts and great deals! Gorgeous treasures! I have been looking for an antique scale and so far no luck ...love yours! What wonderful finds!! Lucky you! I love the two colour apple core quilt - I have never seen one like that, it has so much movement. Happy finds! I have a blue scale. I seriously need to get out more....so much I miss out on. You certainly did get a good deal. 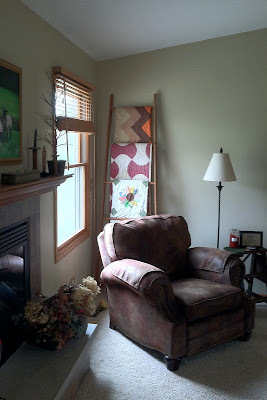 Your new old quilts look perfect on that ladder. Love the other goodies too. I like the chick. Wow , those are gorgeous quilts , especially love the Dresden plate . Sounds like it was a fun day . Beautiful bargains of the century!!! Wonderful collections you have there...and those new goodies are really something!